Copyright (c) – Kama Sutra Records, Inc.
Phonographic Copyright (p) – Kama Sutra Records, Inc.
Phonographic Copyright (p) – Buddah Records, Inc. Pressed By – Sonic Recording Products, Inc. Distributed By – Buddah Records, Inc. Published By – Buddah Music, Inc.
Sonic Recording Products, Inc. pressing, pink labels. 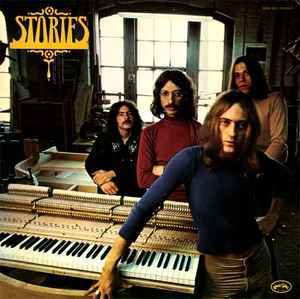 "Stories" logo embossed on cover. B1 shown as "St. James" on cover, "Saint James" on label.